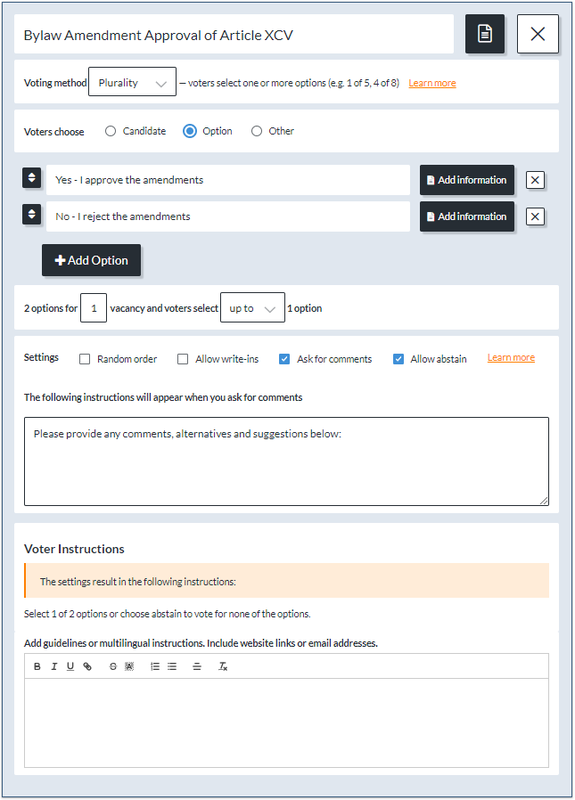 If you want to capture comments, you can create a ballot question that will allow you to do so by turning on "Ask for Comments". This option is available for every voting method that Electionbuddy offers. 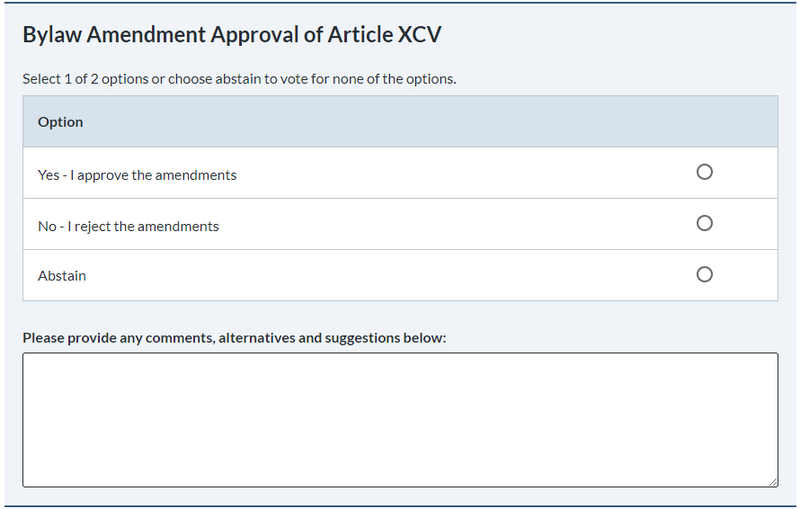 In the Ballot design step, Click on the "+ Add positions and question" button, and add a blank question. Set the voting method to the voting method you need for your election. Add your candidates/options, information, instructions, etc.. Enable the "Ask for comments" box in the question settings. The instructions for the comments box can be changed from the default instructions shown, which allows you to ask for more targeted comments or specific information!